So it looks like another housewife will be launching a clothing line. This time is the "very rich" RHOA housewife, Nene Leakes. 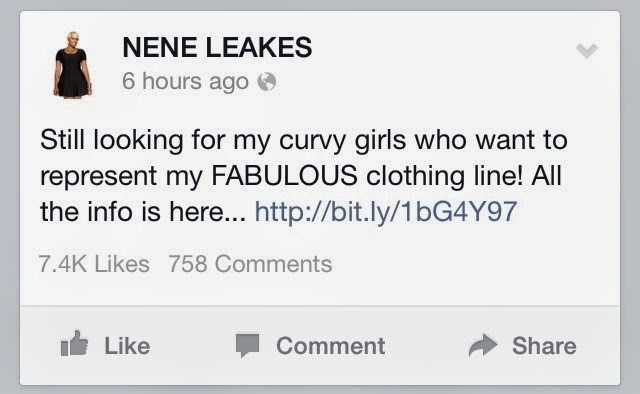 She posted an update on social media to let folks know that she is still in search of "curvy" girls for her new clothing line. If you want to audition, she will be hosting auditions through fellow RHOA star, Cynthia Bailey's The Bailey Agency School of Fashion on the 13th of November. 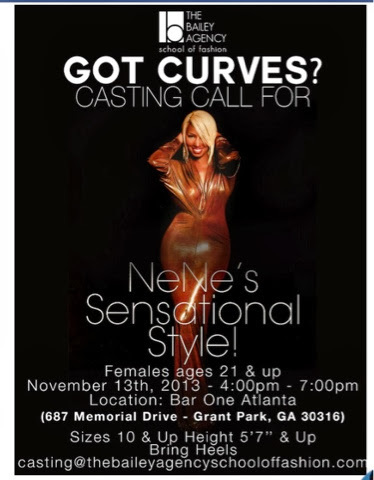 The auditions will take place at Bar One in Atlanta, GA.